Dating back to the 1400s, Nermo Hotell & Apartments was originally a modest guesthouse among a potato and grain farm for fishermen and hunters seeking adventure among the valleys of Gudbrandsdalen and Østerdalen. Today, the hotel offers 32 spacious and comfortable guestrooms and 53 apartments featuring magnificent soaring views of the valley and Oyer mountains. 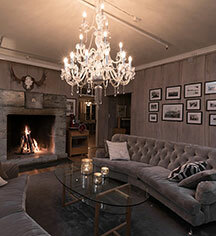 Five generations of the Nermo family has owned and managed the luxury hotel inviting the home-style warmth of Norwegian tradition without sacrificing the decadence of modern amenities. Its proximity to the famous Hafjell ski resort has made Nermo Hotell popular among the winter sport enthusiasts, but those pursuing relaxation and will find that the hotel is an escapist's ideal retreat. Nermo Hotell & Apartments, a charter member of Historic Hotels Worldwide since 2012, dates back to 1442. 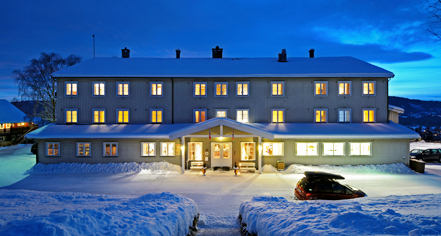 After WWII, the site became a school, and was converted back into a hotel after it was announced that Lillehammmer, Norway was to host the 1988 Winter Olympics. Rollaways: Available upon request; NOK 300 per stay. Dating back to the 1400s, Nermo Hotell & Apartments was originally a modest guesthouse among a potato and grain farm for fishermen and hunters seeking adventure among the valleys of Gudbrandsdalen and Østerdalen. Learn more about the History of Nermo Hotell & Apartments .